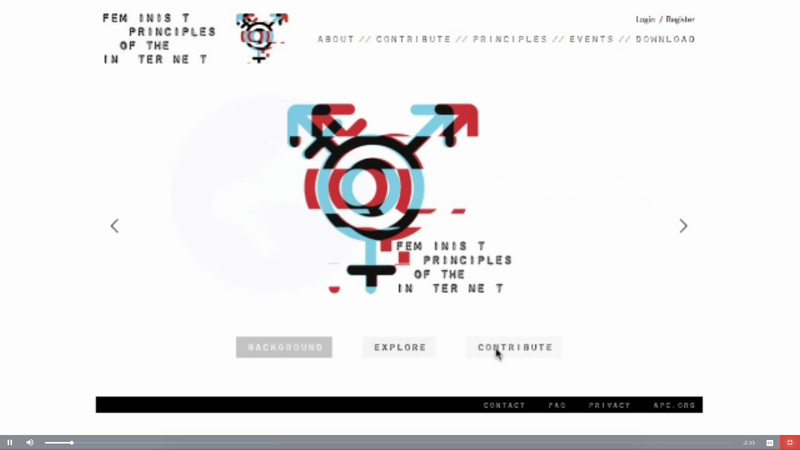 Here’s how you can get involved with the Feminist Principles of the Internet! For any inquiries, please email feministinternet@apcwomen.org. A Feminist internet is built through aggregating our collective and individual experiences. You can contribute multimedia resources, stories, ideas, actions to Principles of your choosing. 1. Register for a user account. 3. Your resource will then appear under Resources in the relevant Principle page. It will also appear in the website sidebar under Latest Resources. 4. Please feel free to contribute in the language of your choice. Check out our video below for a step-by-step guide on how to register for a user account and start contributing resources. English and Spanish captions available by clicking CC in the bottom right corner of the media player. City Conversations are one-day exchanges held in partnership with local organisations to discuss, expand, and localise the FPIs. The exchanges can be informal and at whatever scale you feel comfortable with. You can see past FPI-related events on our Events page. You can also check out all past City Conversations in one place. The FPIs are meant to respond to many contexts and should therefore be outlined in many different languages. Multiple volunteers have contributed translations of the FPIs in multiple languages, available on our Download page. We are always looking for more volunteers to produce translations into languages not yet on the list, or translations of any of the resources available on this website.